A hard swinging trio around vocalist and pianist Sanna van Vliet, supported by Axel Hagen on guitar and Johan Plomp on bass. Besides the strong relationship to musical tradition, this group creates a very personal, selfstanding sound around the vocal artistry of Sanna and the harmonic and rhythmic support of Axel and Johan. The double role of Sanna as a vocalist and piano player allows the group to display various, rich textured arrangements. The trio has a deep mutual understanding of what they want to play and how they want to sound and this is reflected in the enthusiasm and fun with which they play together. There is a lot of room for improvisation and interplay between vocals, piano, guitar and bass. 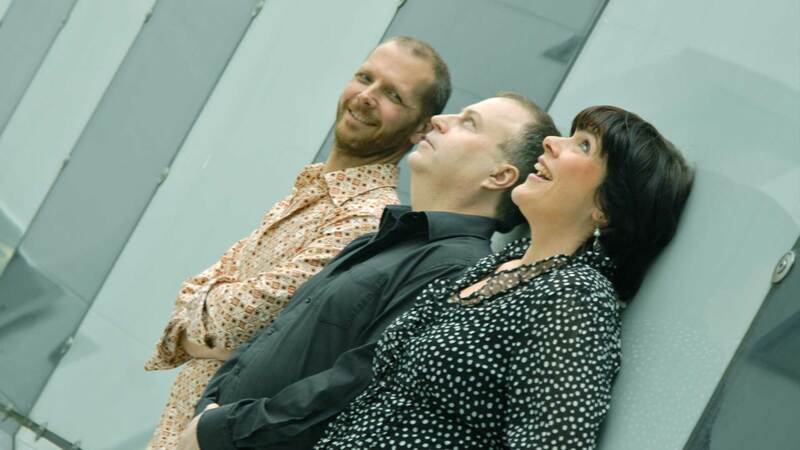 Musicians: Sanna van Vliet-vocals/piano, Axel Hagen-guitar, Johan Plomp-bass.